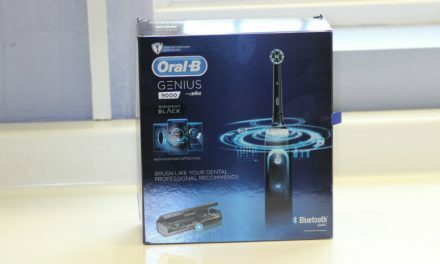 A portable, small and cheap electric toothbrush that is great for taking on your travels especially as it comes with the handy USB charger that is connected to the travel case. I am not keen on the brush head, the sonic mechanism of action and it does not come with a visible pressure sensor. Fine for travelling but would get another electric toothbrush to use regularly at home. Colgate has been in the dental products markets for over 140 years and over that time has developed a good understanding of what works and what does not. Their latest electric toothbrush offering is the Colgate ProClinical Pocket-Pro Rechargeable Electric Toothbrush which is a slim and lightweight electric toothbrush, ideal for travelling with. How does the Colgate Proclinical Pocket-Pro compare with its competitor’s particularly the Oral-B Pro 600 and Oral-B Pro 650? Find out more in the article below. The Colgate ProClinical Pocket-Pro handle is very slimline and lightweight. This has advantages when travelling (more on this later) however it is almost too slim, making it difficult to hold. People who have poor manual dexterity or arthritis in their hand I would definitely recommend giving this electric toothbrush a miss. Also because the handle is so slim when the Colgate Proclinical Pocket-Pro Electric toothbrush is on, it does vibrate on the handle. It comes in two colours white and black. I am testing the white one today and it looks modern and refreshingly simple. I would recommend going for the white electric toothbrush handle because it is very difficult to find black replacement brush heads. The handle is very plasticky, which makes it feel cheap. The lack of rubber also makes it difficult to hold especially when wet. It is only water resistant, not waterproof so do not put it underneath water for too long. It is fine to wipe down with a bit of water but do not submerge it underwater because it will break. I would also not recommend using this in the shower. The top part of the electric toothbrush handle that inserts into the brush head is made of plastic as well. Usually on most of it’s competitors this is made of metal for example the Oral-B Pro 2 2500. As brush heads are regularly taken on and off, this concerns me that this may break. In my mind it is definitely an area of weakness however it does come with a 2 year limited warranty. The Colgate Proclinical Pocket-Pro handle features only one button that turns the electric toothbrush on and off. It is a ergonomic button that gives firm feedback. It is also surrounded by rubber which gives it a nice feel. The battery indicator light is also on the front of the handle. It turns red when the battery is charging. It also flashes red when the battery is low indicating it is time to put the electric toothbrush handle on charge. The electric toothbrush from my tests will last another 10 minutes after the red light starts flashing so it is not imperative to get the toothbrush handle on charge immediately. The Colgate ProClinical Pocket-Pro rechargeable electric toothbrush features a 2 minute timer, that pauses every 30 seconds. This is a great feature and similar to the Oral-B’s Quadpacer. It let’s you know when to change area of your mouth and also completely stops after 2 minutes. This means that if you want to brush for longer you have to turn the electric toothbrush on again. This is a cheap electric toothbrush so it is missing a whole host of features compared to electric toothbrushes like the Oral-B Genius 8000. I think the most glaring feature that is missing is a visible pressure sensor. Pressing too firmly with an electric toothbrush can lead to gum recession and a type of tooth wear known as toothbrush abrasion. Toothbrush abrasion can cause sensitivity and if left may need restoration by your dentist. The Colgate ProClinical Pocket-Pro electric toothbrush does not have Bluetooth connectivity and no additional cleaning modes. The Colgate ProClinical Pocket-Pro Electric Toothbrush cleans with Sonic Vibrations and brushes up to 30,000 times per minute multidirectionally. This is low compared to the Philips Sonicare Diamondclean which vibrates at 62,000 strokes per minute. I am not a big fan of sonic electric toothbrushes because they have been shown by Cochrane to clean consistently worse than an oscillating rotating electric toothbrush . Sonic electric toothbrushes do still clean better than a manual toothbrush, so would still recommend them over manual toothbrushes. When using the Colgate ProClinical Pocket-Pro on a regular basis, I personally found that it did not feel like it cleaned my teeth better than the Oral-B Pro 2 2500, that I use normally. Running my tongue over my teeth, it still felt as though there was still plaque on them after cleaning them for 2 minutes. This is of course subjective test. This electric toothbrush only has one cleaning mode. There is no way to vary the cleaning pattern as you can on other electric toothbrushes. The colgate triple clean brush head is nice and small which means that it can reach even the hardest to reach wisdom teeth. The back of the brush head is also rubberised giving the brush head a nice feel in the mouth. The bristles are too long and too soft especially as they are thin tipped.It would have been better for the bristles to be medium firmness. 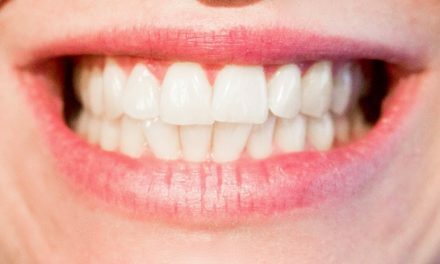 Although you could argue that because this model does not have a visible pressure sensor, the soft bristles limit the amount of potential damage you could do to your teeth and gums. I would recommend sticking to the triple clean brush head unless you have particularly sensitive teeth or like to press too firmly with the electric toothbrush. In these cases, I would recommend going for the Colgate Sensitive Brush head as the bristles are softer. This is definitely one area where the Colgate ProClinical Pocket-Pro shines. Although Colgate does not state how long the battery lasts, from my tests it lasts for around 1 hour of usage. This translates into 2 weeks of using the electric toothbrush twice a day for 2 minutes. This is a brilliant battery life for a budget range electric toothbrush and is particularly handy if travelling abroad. From completely flat to full charge, the colgate electric toothbrush does it in 10 hours which is fine. What I typically do is leave the electric toothbrush on charge when I go to bed and when I wake up, it is almost fully charged. A brilliant design feature with the Colgate ProClinical Pocket-Pro is that the travel case doubles up as the charging station. I will discuss the travel case in more detail in the next section. Needless to say, this is a fantastic space saving design and really handy when you go travelling. There are two ways that you can charge the Colgate ProClinical Pocket-Pro, either you can plug it into your laptop or computer using the USB to microUSB cable or alternatively you can use the 2 pin 100-240V AC adapter provided. The 2 pin adapter is a little bulky however is functional. If you do not have a shaving plug in your bathroom, you will need to buy a 2 pin to 3 pin adaptor. A good one can be found at most hardware stores or Amazon. The Colgate ProClinical Pocket-Pro is really light, which is one of the reasons it is an excellent travel electric toothbrush. It is also quite short and slim. The travel case is one of the big selling points for this electric toothbrush. In fact the travel case is almost as good as the Oral-B travel case featured on it’s top of the range model, the Oral-B Genius 9000. It is really well designed and looks attractive. The travel case I have here is two toned blue and white. The blue part flips open to reveal two slots, one for the electric toothbrush handle and one for the brush head. If I was being really picky, it would be nice to have two brush head slots, however this would make the travel case significantly bigger. The travel case as alluded to earlier actually acts as a charging station which keeps it nice and compact. The micro USB plugs into the side of the travel case. The micro USB slot is covered by a bit of flimsy rubber which will probably break off, however will not affect the travel cases functionality. This electric toothbrush currently costs £44.99 from Amazon. This is really reasonable for an electric toothbrush and it is definitely worth the price providing you are using this as a travel electric toothbrush. I would not recommend using this as your regular electric toothbrush because there are better ones out there on the market. The Colgate ProClinical Pocket-Pro comes with a 2 year limited warranty and a 30 day challenge satisfaction guarantee. This is great especially for a budget range electric toothbrush. Taking into account the minimum amount of time that this electric toothbrush will last is 2 years based off the warranty. This gives a rough running cost of the electric toothbrush handle of less than £1 a month. Colgate Brush heads vary in price dependent on where it is bought however at the time of writing they are usually around £2.50 per brush head. Electric Toothbrush brush heads should be replaced every 3 months to prevent accumulation of bacteria and prevent the bristles from becoming frayed. This means that the running costs for replacement brush heads will come to less than £1 a month. The final running costs to factor in are the cost of electricity and water. Both of which are minimal. 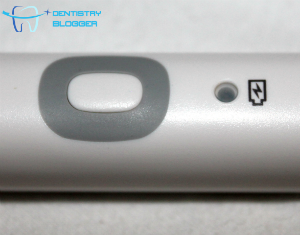 I would recommend checking out “the best electric toothbrush” post I wrote. Click here to find out more. Is the Colgate ProClinical Pocket-Pro noisy? No actually it is one of the quietest electric toothbrushes I have tested. Make sure to put the brush head on the electric toothbrush handle before turning it on as this significantly reduces the noise and vibration. Is the Colgate ProClinical Pocket-Pro suitable for children? This electric toothbrush has not been specifically designed for children and would recommend alternative electric toothbrushes if you are looking for your child. Click here to find my recommended list of children’s electric toothbrushes. Does the Colgate ProClinical Pocket-Pro come with a travel case? Yes it does indeed. It is a fantastic travel case and is definitely one of the highlights of the electric toothbrush. Is the Colgate ProClinical Pocket-Pro suitable to use on dental implants/bridges/crowns and restorations? Yes it is suitable to use on these types of dental restorations. The human bite puts significantly more force on teeth than an electric toothbrush would. 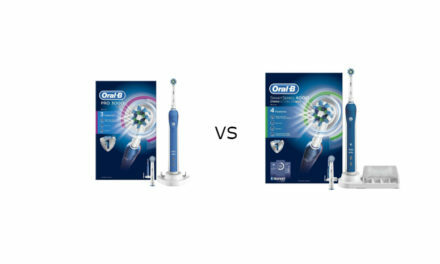 Colgate ProClinical Pocket-Pro vs Oral-B Pro 600 vs Oral-B Pro 650? In my view the best electric toothbrush out of the above is the Oral-B Pro 650. The reason for this is the 3D oscillating rotating motion on the Oral-B Pro models, they clean better than the sonic motion featured on the Colgate ProClinical Pocket-Pro. 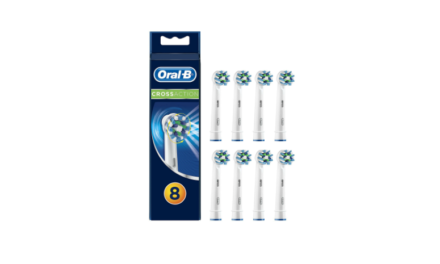 Also the Oral-B Pro 650 comes with the excellent CrossAction Brush Head (I did a detailed review of this here (Internal Link)) and is similar in price to the Oral-B Pro 600. I would choose the Oral-B Pro 650. The Colgate ProClinical Pocket-Pro is a fantastic electric toothbrush if you are planning to travel with it. The travel case is exquisite and the small and lightweight profile is handy, providing you have good manual dexterity. If you are planning on using this as a regular at home electric toothbrush I would recommend taking a look at the Oral-B Pro 600 or Oral-B Pro 650 . Summary A portable, small and cheap electric toothbrush that is great for taking on your travels especially as it comes with the handy USB charger that is connected to the travel case. I am not keen on the brush head, the sonic mechanism of action and it does not come with a visible pressure sensor. Fine for travelling but would get another electric toothbrush to use regularly at home.